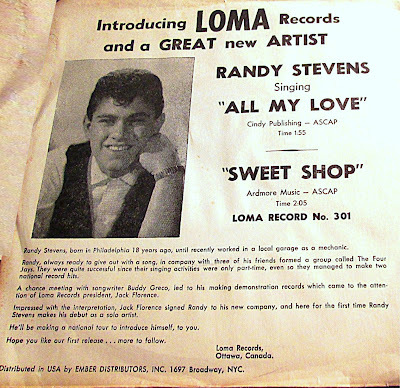 1958 Randy Stevens picture sleeve on Lomar Records with the sides_All My Love/Sweet Shop. 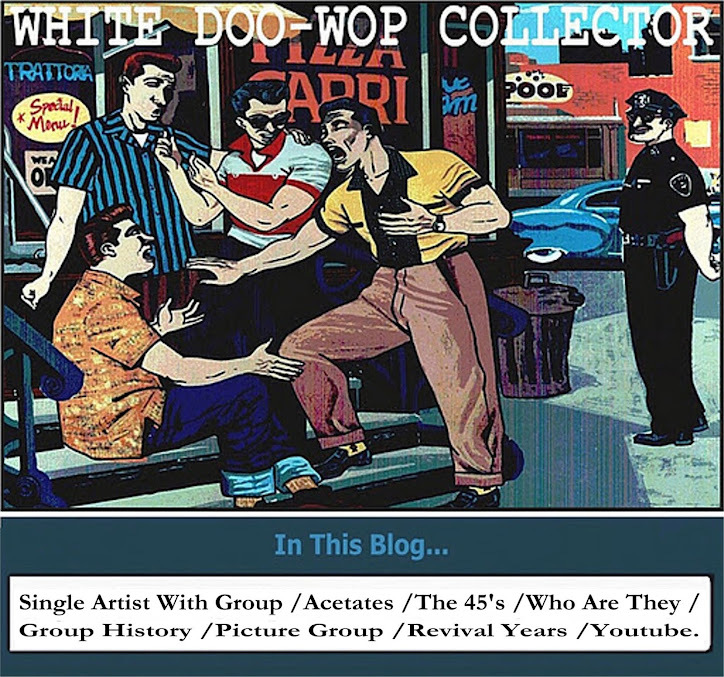 present in the doo wop guides with a value of $40 (the guides not mentioned this sleeve). 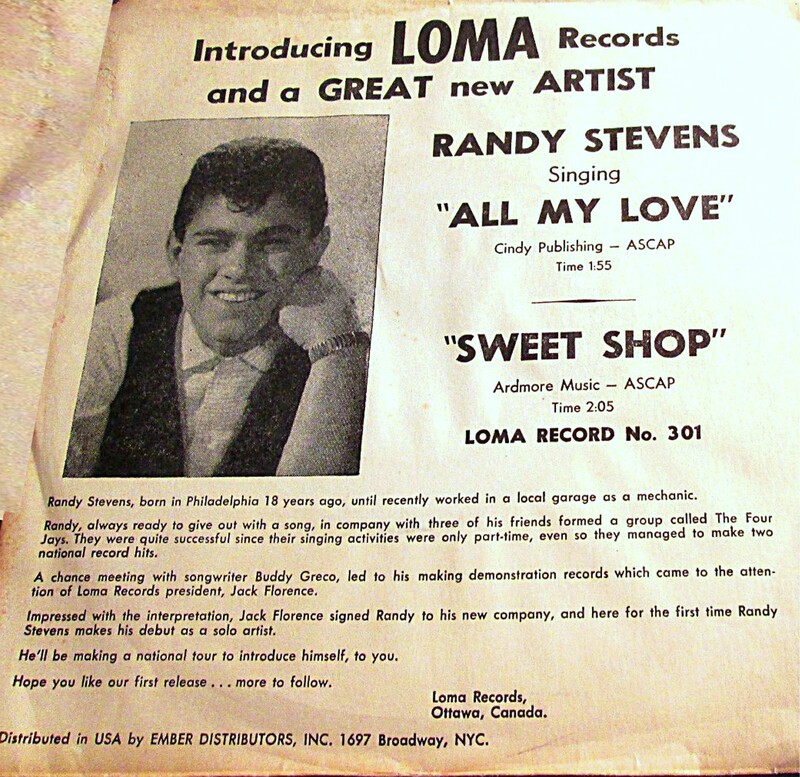 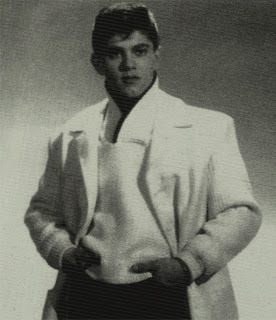 Actually Randy Stevens is Jimmy Testa of The Four J's/Fabulous Four (see in this blog).